The fashion house of Donna Karan was founded in the mid-1980s, and in 1989, the designer created Donna Karan New York, which is known as DKNY . The burgeoning and successful fashion house was acquired by LVMH in 2001. The Donna Karan brand has always been a balance between comfort and luxury, but no matter how elegant the brand is, the main purpose of Donna Karan has been to be the quintessential connoisseur of practical. 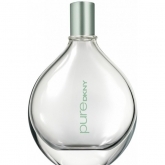 This section of Perfume.com is dedicated to DKNY fragrance products. 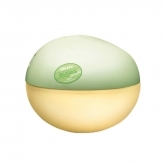 It is a convenient way for our customers to search for and find the DKNY perfume and cologne that they are looking for. 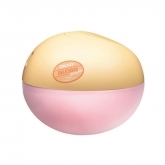 In addition, it is also a great way to discover new DKNY perfumes. What made Donna Karan explode into the fragrance world was the launch of the DKNY perfume line for men and women. 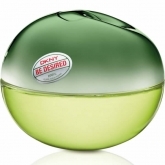 The first DKNY perfume, Be Delicious, was a tribute to New York City, “the Big Apple.” The perfume debuted in 2004 as an apple-based fragrance in an apple-shaped bottle and became an instant success. 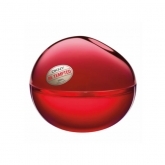 Since that time, the DKNY fragrance line has held a certain level of popularity and success. The DKNY perfume brand is meant for more casual wear and has a sporty vibe that is similar to Hugo Boss Sport or Versace Sport perfumes and colognes. 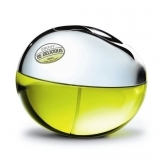 The scents are aimed at men and women and include DKNY cologne in addition to perfumes and other fragrances. The brand is highly popular, with a focus on the young, urban crowd.